Please click on the flag if you are visiting us from the U.K. Looking for great books set in fascinating places? Click on a country to the left, and you will find all the wonderful books we have selected that are set in that country. Try it and see what you will find! novels set in the places you are visiting. extra insight into your destination, allowing you to experience the stories and history of any place through its fiction. And even if you're not traveling anywhere, we can all dream! 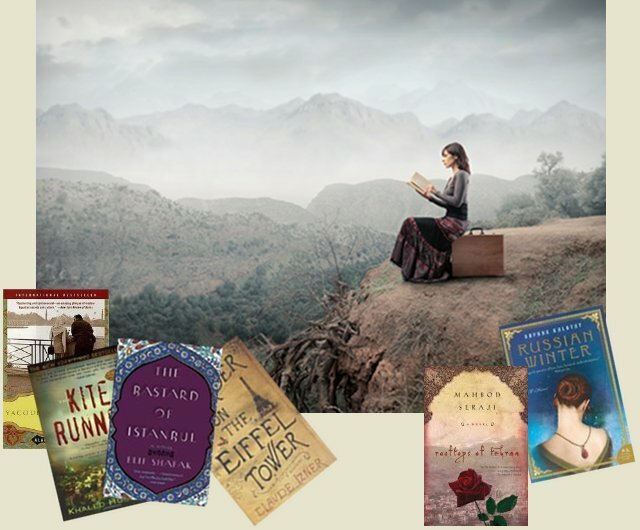 Take this opportunity to immerse yourself in some wonderful travel novels and imagine that you are exploring the backstreets of Barcelona, or breathing in the tropical air of Peru. Start your journey by clicking on one of the countries to the left, joining our free One Country One Book Club, or reading some reviews on the blog. We are adding more books and countries all the time and would love to hear your thoughts and suggestions. Disclosure Policy At packabook we present you with a selection of travel novels that we believe you will enjoy. These books are linked to Amazon. If you click on our link and decide to buy a book, we will receive a commission for referring you. This is how packabook makes its money, and is able to continue keeping you up to date with great travel literature to read.